Las Vegas condo buyers may see deposits returned after court approval. The bankrupt Mira Villa condos in Summerlin are close to several motions for the bankruptcy trustee to approve postbankruptcy financing of $38 million in several weeks. 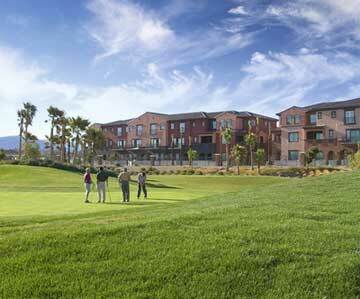 The luxury Summerlin condominiums stopped construction earlier this year. Last month the court held a hearing for purchase agreement cancellations. If creditors don’t object to the refunds, buyers could see deposits returned from escrow. Nearly 50 buyers have asked for their contract cancellation. Several motions will be filed for continuance of Mira Villa condo construction, guidelines to handle sales and approval of the mortgage financing. Isaac Building and Design is employed as the general contractor by the trustee, because Westmark Homes, filed for bankruptcy protection on the real estate project earlier this year. In other Las Vegas real estate news, the Mercer mid rise condominiums have halted construction on the 113 units. The developer for the Mercer will wait until the beginning of the year to decide if rentals of the units would be a better business decision in the current economic crisis. Las Vegas condo buyes may see deposits returned after court approval.